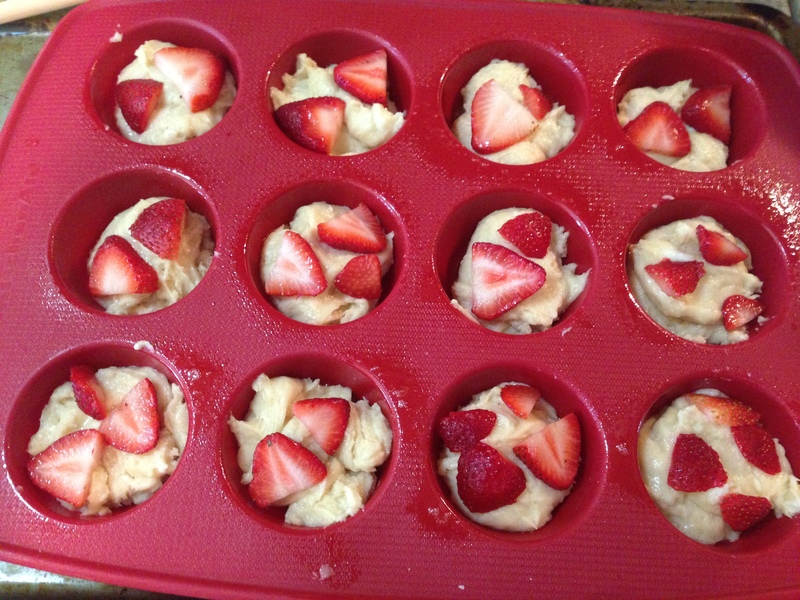 Muffins with whole frozen strawberries, shredded sweetened coconut, white chocolate chips with a hint of vanilla. 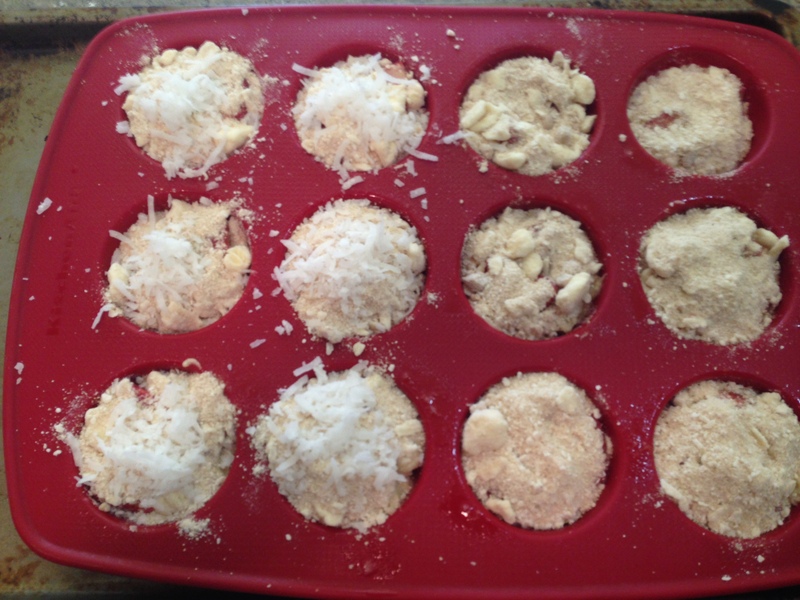 They are topped with shredded coconut to give them the slight crisp top. 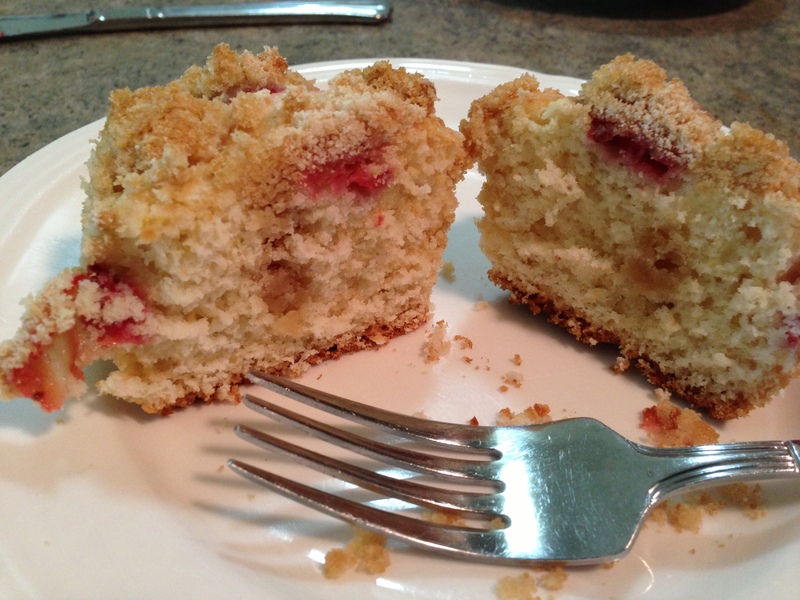 The crumb is so tender that they require a paper cup otherwise they would fall apart. A fork was required for sure this time around!. Preheat oven to 375 degrees making sure your oven rack is in the lower middle position. 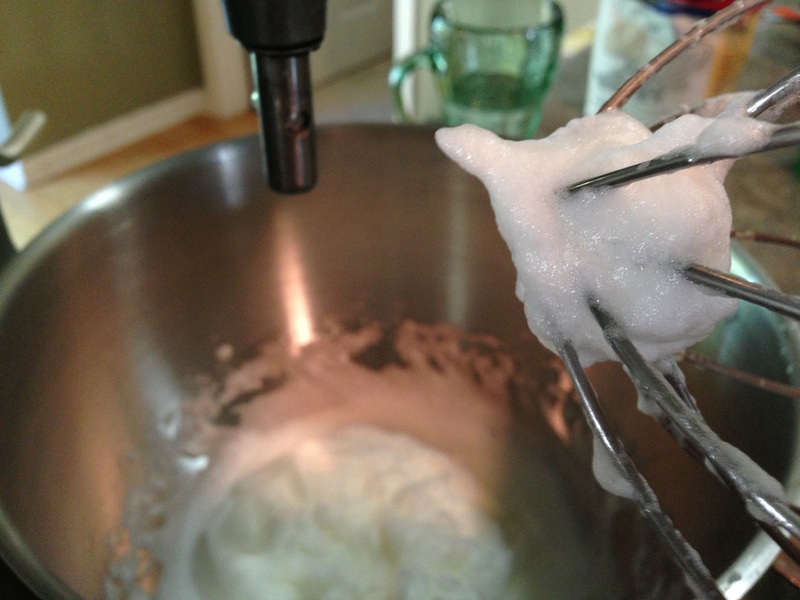 Beat the soften butter and sugar with mixer on medium-high speed starting at a lower speed to prevent a big mess. Do this until it is light and fluffy (for just a few minutes). Add vanilla extract, orange juice, 1/2 cup coconut flakes then one egg at a time, mixing well after each egg. 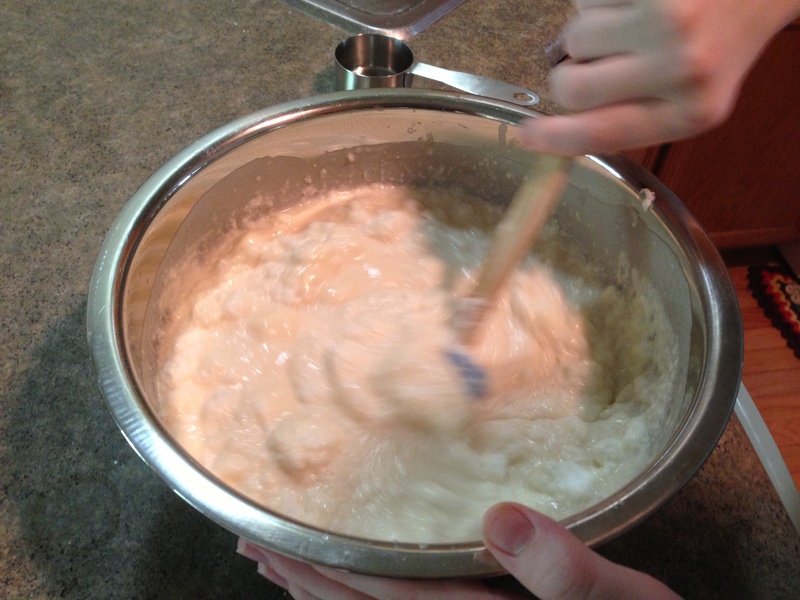 With the mixer, beat in half of dry ingredients and half of yogurt into the butter sugar. Repeat with the remaining. A muffin with the health benefits of Flax Seed and Oats without sacrifice to taste. These are tender and moist with just enough sweetness to satisfy your sweet tooth. 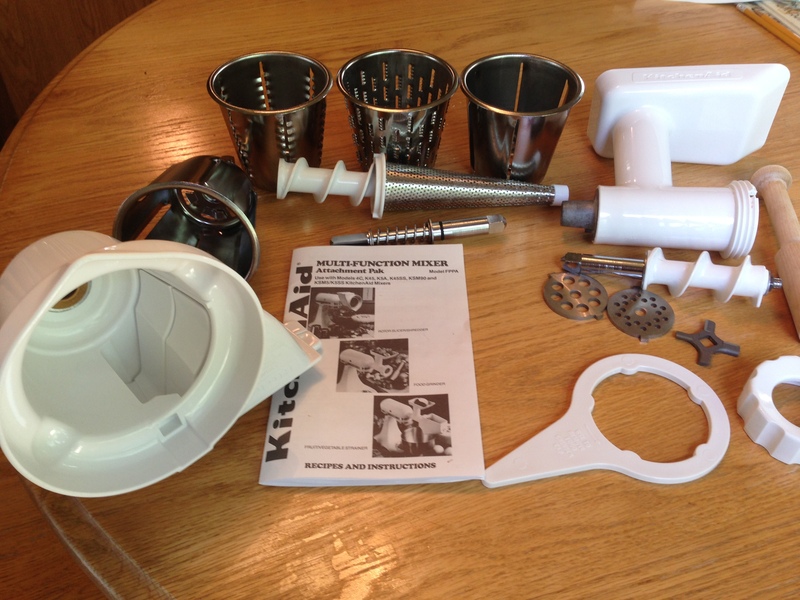 Beat the soften butter and sugar with mixer on medium-high speed starting at a lower speed to prevent a big mess. Do this until it is light and fluffy (for just a few minutes). Add vanilla extract then one egg at a time, mixing well after each egg. 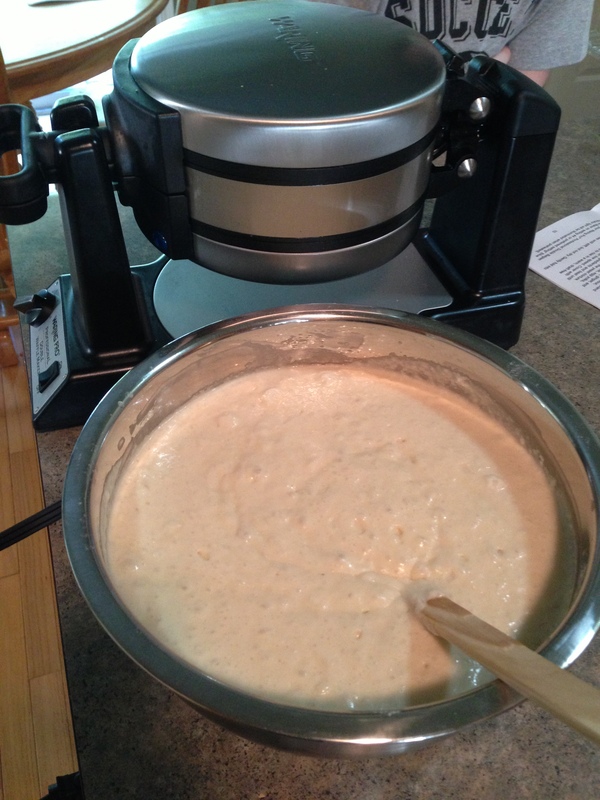 Whisk flours, Flax seed, baking powder, baking soda, and salt in medium bowl. Bake for 25-28 minutes – You are looking for a golden brown top and making sure the muffin tops spring back when you lightly push them. Try not to eat all in one sitting! 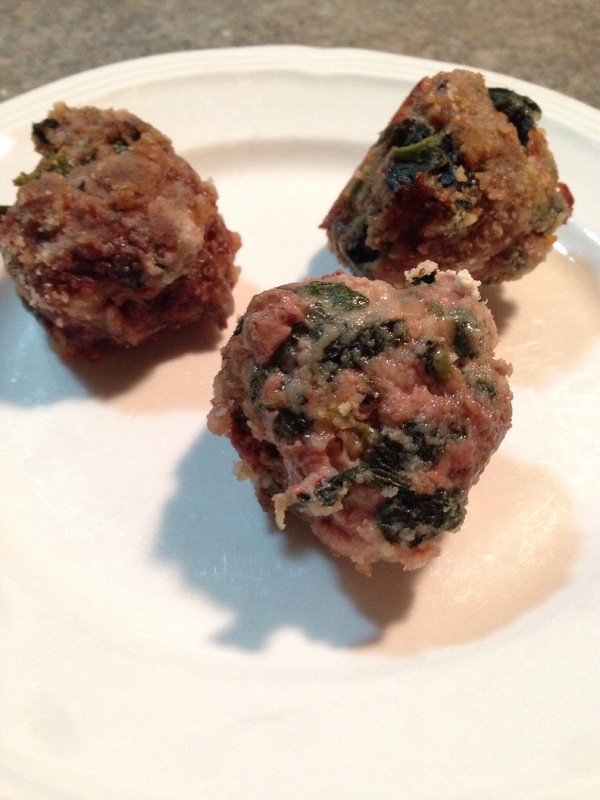 Homemade meatballs with Spinach yes they are good. No I mean they are really good and would go so far to say they are the best meatballs I have ever made and the best tasting meatballs I have ever tasted! 6) Coat each meatball with remaining 3/4 cups of bread crumbs. I put the bread crumbs in a bowl and rolled each ball around after I weighed the ball. Place meatballs on a large cooking sheet. 8) Cook for about 20 minutes turning over halfway through the cooking time. 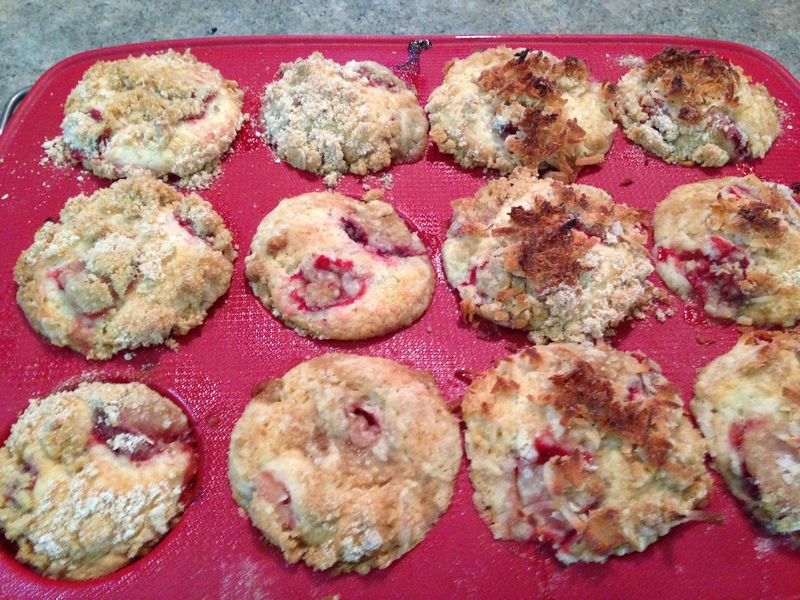 I served these with homemade Pasta and sauce top with Parmesan cheese (see picture below). 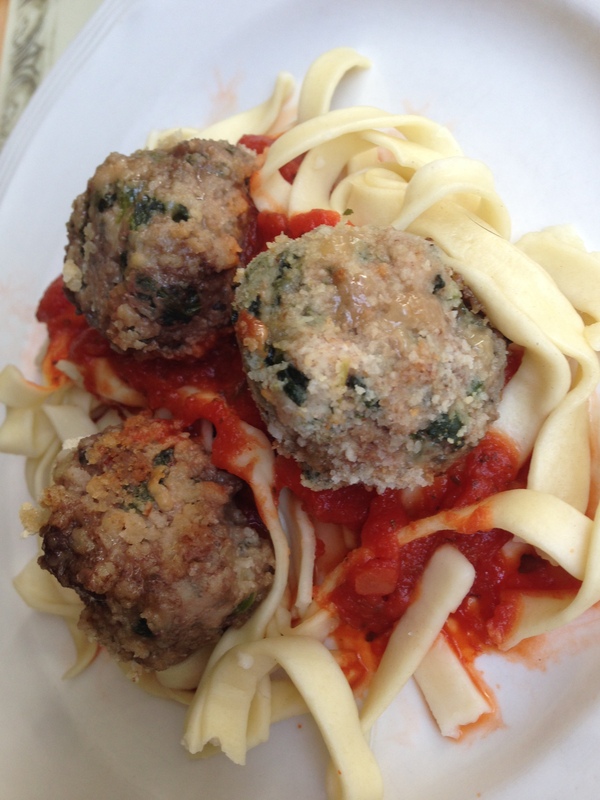 This recipe was inspired by Alton Browns meatball recipe and recent podcast. He knows what he is doing, even though I changed the recipe. Sorry I just won’t eat Lamb. And this is was the leftovers! My daughter made this! She continues to amaze me with each posting! it tastes better then the picture. Happy Birthday to me! This cake had a rough start and was almost never posted. Why? Because my wife and daughter did not like the cake at the first tasting. I liked it and my son liked it and also thought the more for me and my son. BUT, after being in the Frig over night both my wife and daughter now love it. My son and I continued to enjoy it cold and yes it did taste better cold so I knew I had to post this experience. A little background on how I came up with recipe and even knew before I cooked it that this might get mixed reviews. I was on one of my regular walks enjoying the weather trying to think of a cake to make for my birthday. I wanted something different then I have made before and maybe even try something a bit risky. 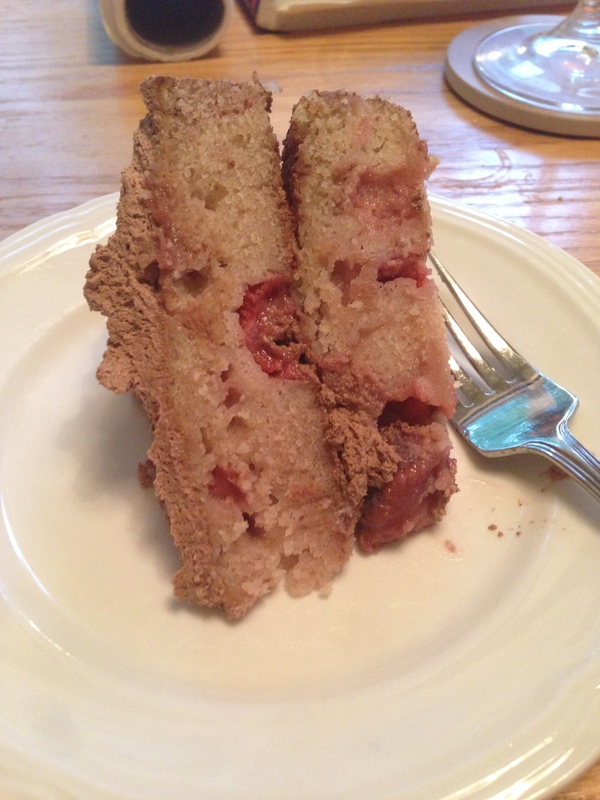 The risky part was putting strawberry syrup in a white cake which of course is going to make it heavy and not so white. 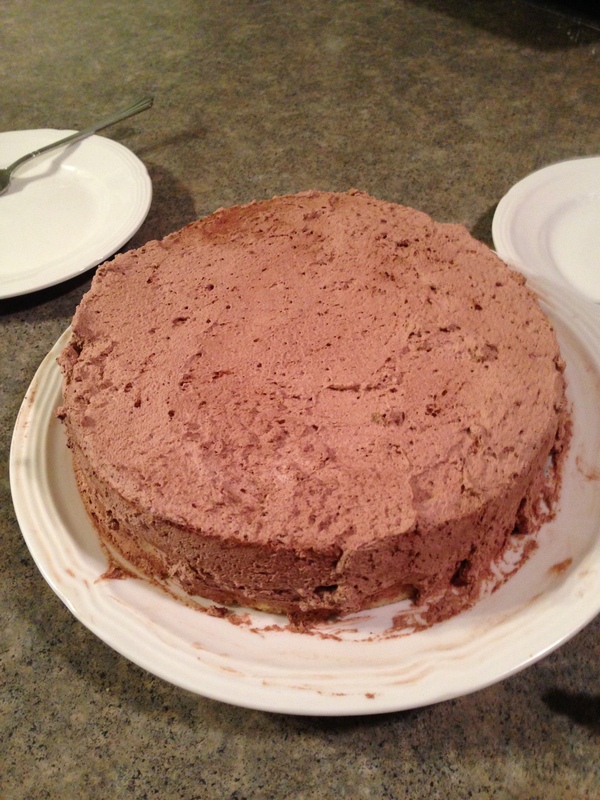 Plus I wanted to use up the heavy whipping cream to make coco frosting, which could make it look bland or like sandpaper. Well enough chatting, onto the recipe which started out as the recipe found on the back of the Swans Down Cake Flour box and morphed into what you see below. I used two 9″ round pans which should have been 3. I cooked it longer to compensate. 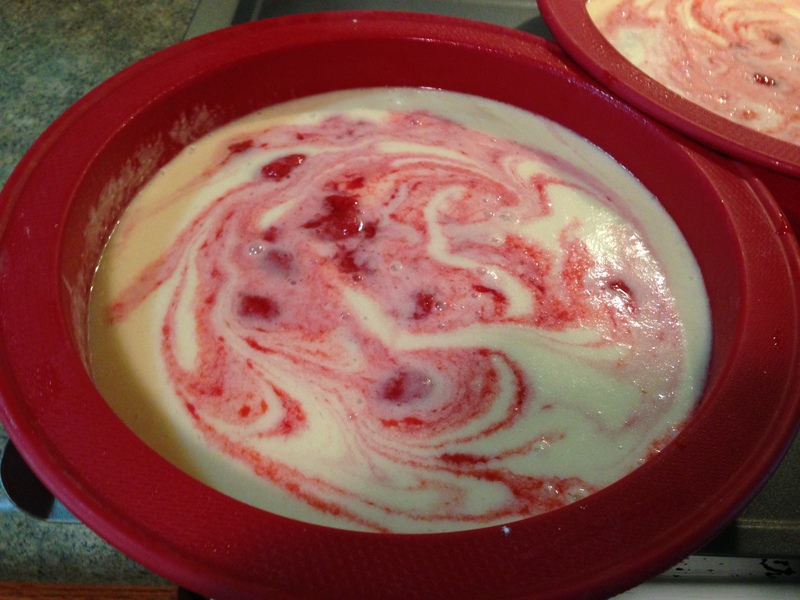 Pour into 2 greased 9 inch round pans then swirl in homemade strawberry syrup (see picture below) using the end of a wooden spoon handle to do the swirl. Don’t swirl to much. 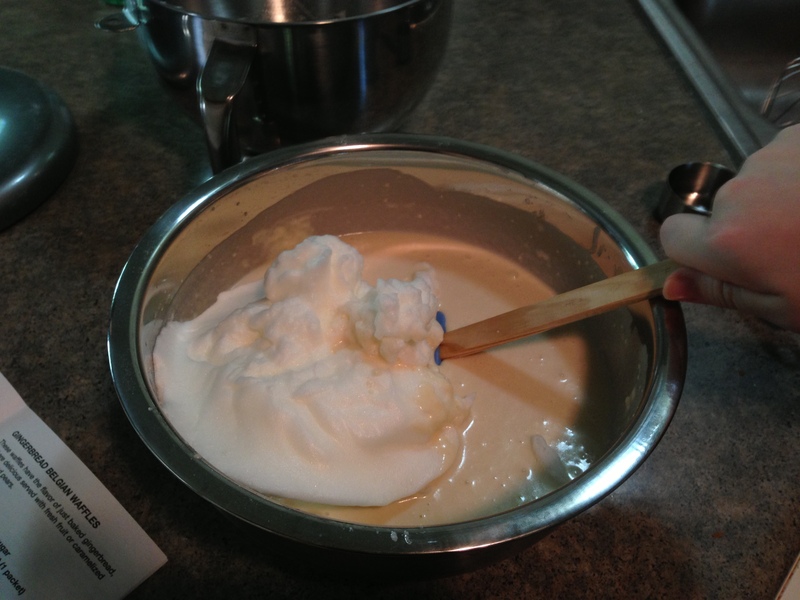 Remove bowl and whisk from freezer and immediately pour the heavy whipping cream into the bowl and whisk away starting at a slow speed increasing to a high speed until stiff peaks form. Watch carefully testing often! 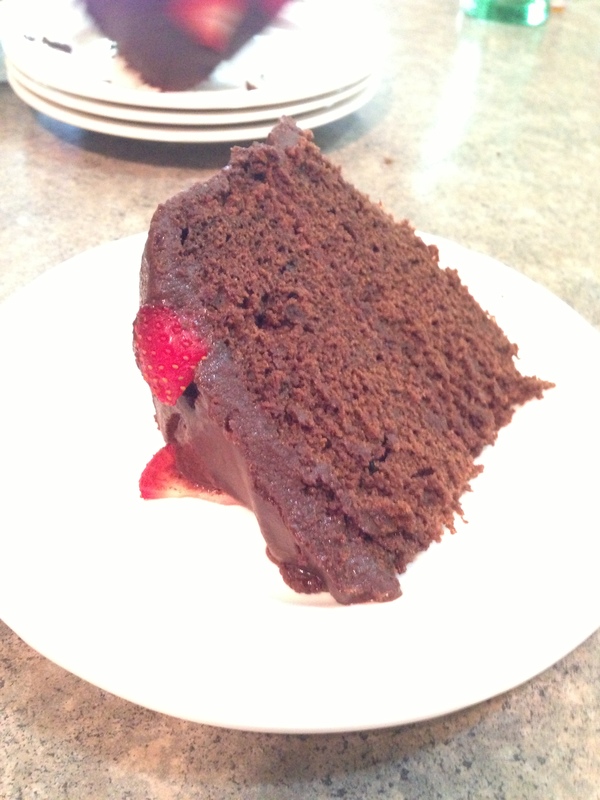 Spread layer of frosting onto of a layer of cake then stack the cakes and frost the entire cake. Add some garnish if you want. Grandma (my mom) sent my son something special just for him but the whole family benefits from this gift too! My son enjoys cooking just like I do so this gift is a natural fit of course. 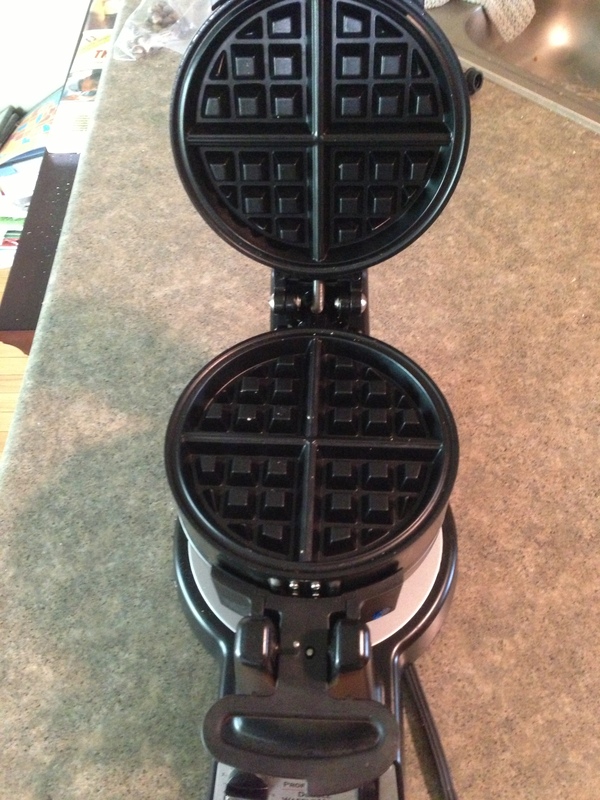 The gift is a Belgium Waffle maker! This is a nice one too! It cooks them perfectly, easy to clean, cooks two at a time, and of course “cool looking” according to my son. I have to agree. I have not used it myself but I am sure it is easy to use as well. This is also a great gift because it gives my son and I more time together and something we can share in common. What a great grandma we have! Of course we HAD to use it the very day it was delivered via UPS. But as luck would have it UPS was running about a hour or so later then normal. My son did not know it was on the way so I had to stall dinner. Little did I know that Belgium Waffles take more then a hour to prepare. 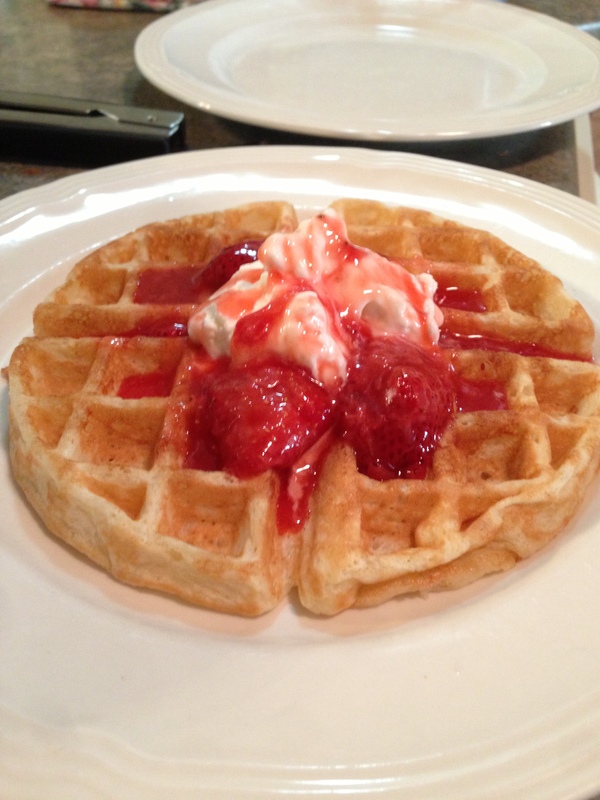 So we went with standard waffles that night. 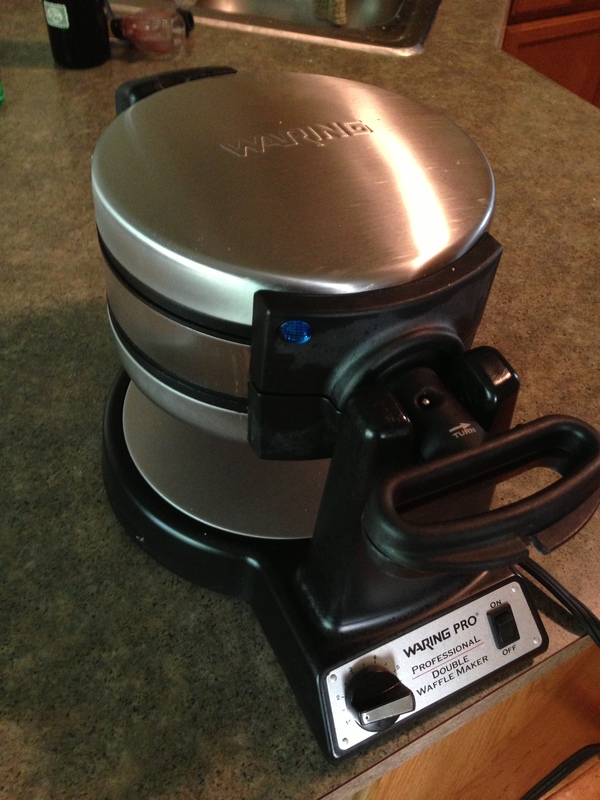 But now that it’s a few days later we can make true Belgium Waffles, the recipe and experience follows. The long time to eat steps (1 hour is a long time when you are hungry) – This takes 1 hour after you blend all the ingredients! Heat half of the water to lukewarm (105-110 F) and add to a large bowl then add yeast and a pinch of sugar to dissolve. This will foam when done about 5 to 10 minutes. 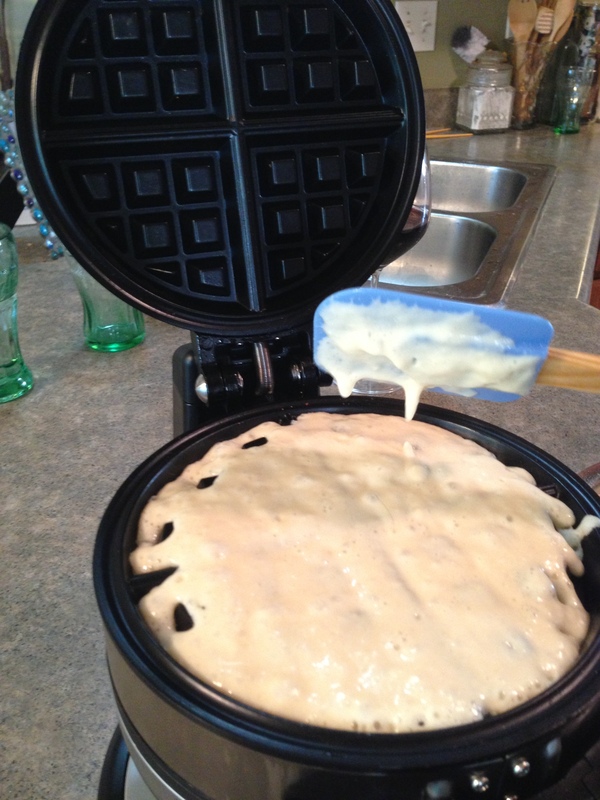 Let the batter stand for 1 hour coming back every 15 minutes to stir. During this time the batter will be rising and smells so good! 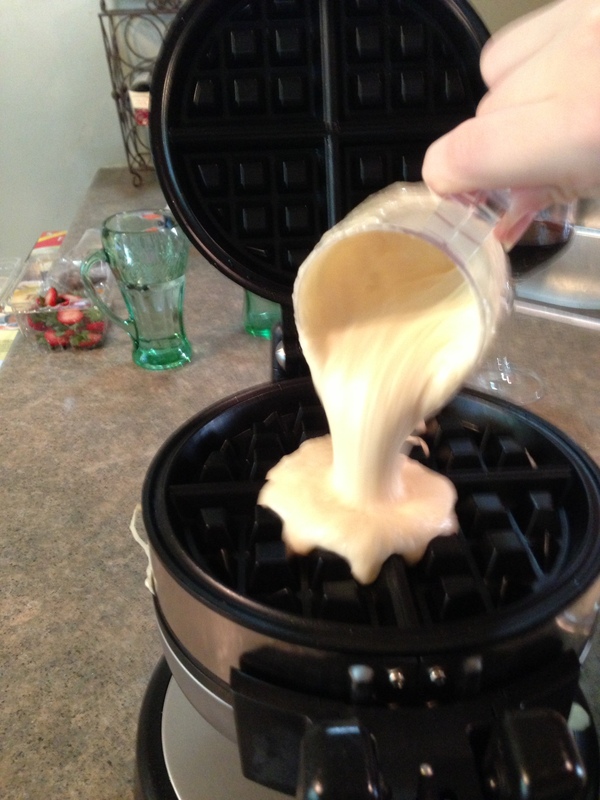 Heat the waffle maker, when heated pour batter into maker making sure to distribute batter evenly and push down into grids. This is yeast based so you will have bubbles. 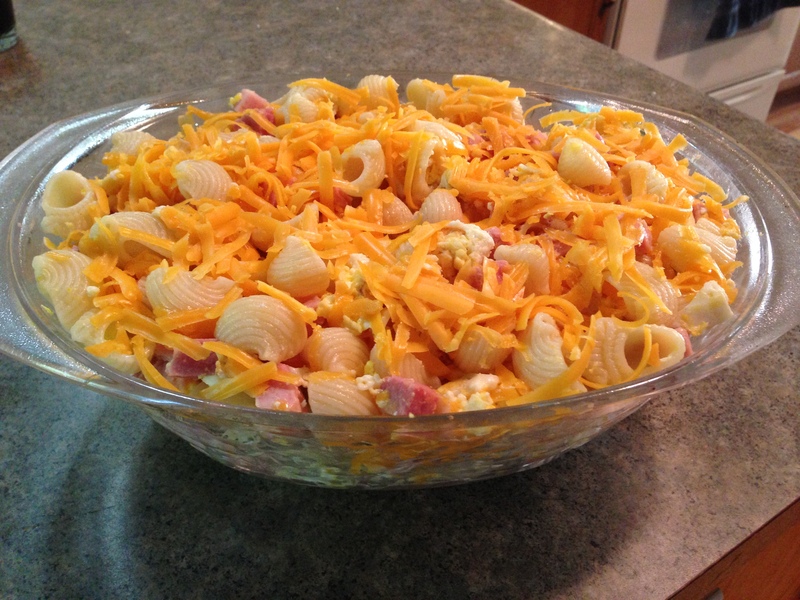 Top with your favorite topping (see my post here for an idea) and enjoy. You will! The batter will rise over the hour. 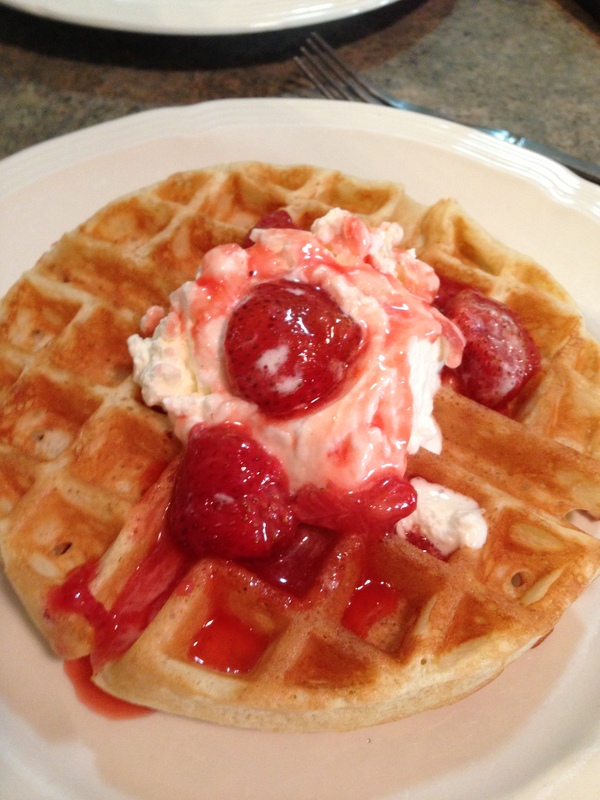 Oh waiting for the waffle iron to heat up! 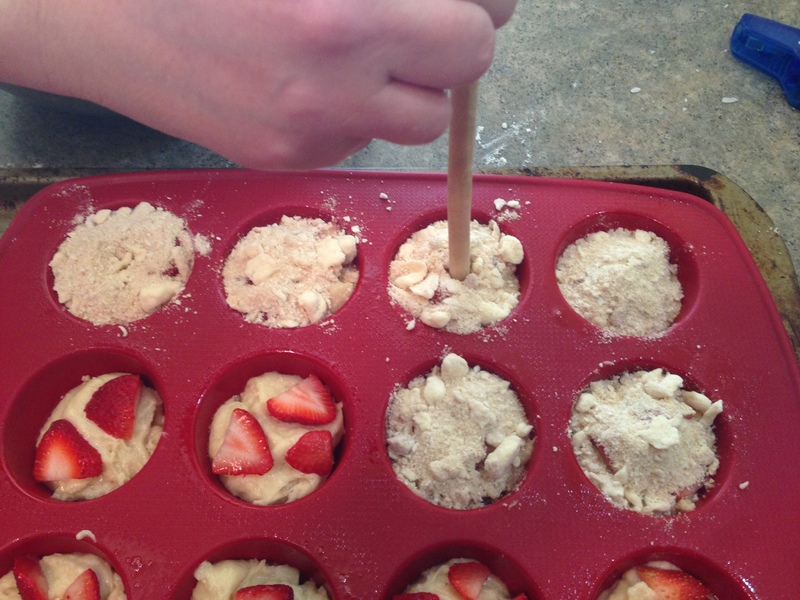 Be sure to spread evenly and get the batter into the grids. 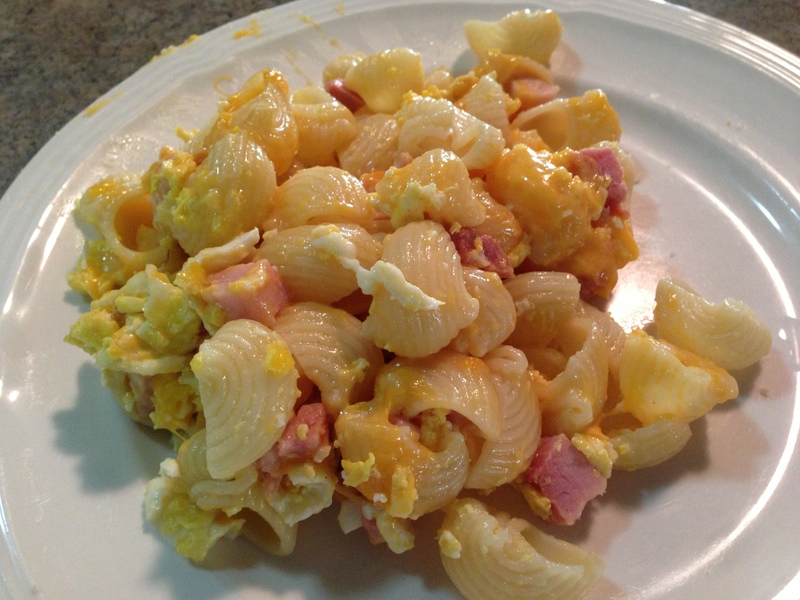 Pasta, eggs, ham and cheese who knew it could be so good and easy to make. 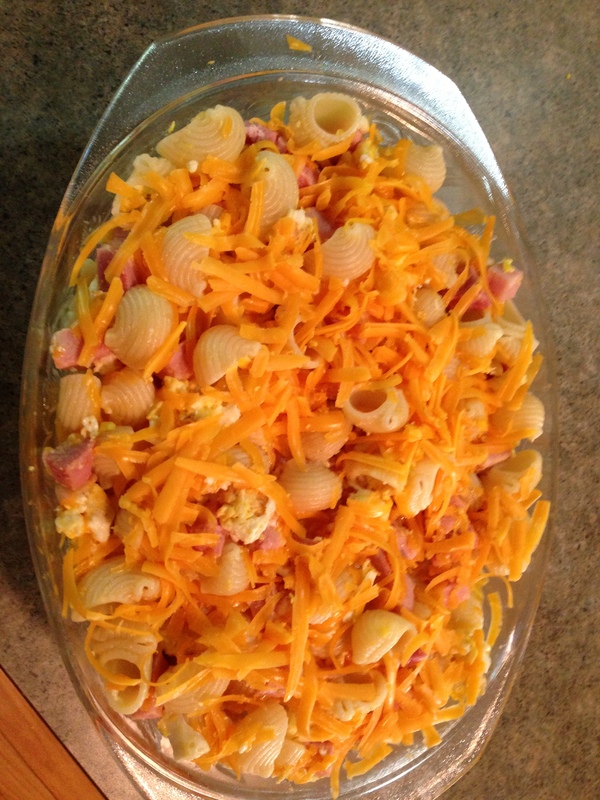 You can also add some additional toppings such as salsa, hot sauce, veggies, or whatever floats your boat. When serving be sure to include topping on each plate. You can add some additional topping such a salsa or hot sauce. Hows this view before the bake? All warm and ready to serve! I needed to use up the strawberries in the Frig before they went bad. What to make with strawberries? Coffee cake muffins of course! 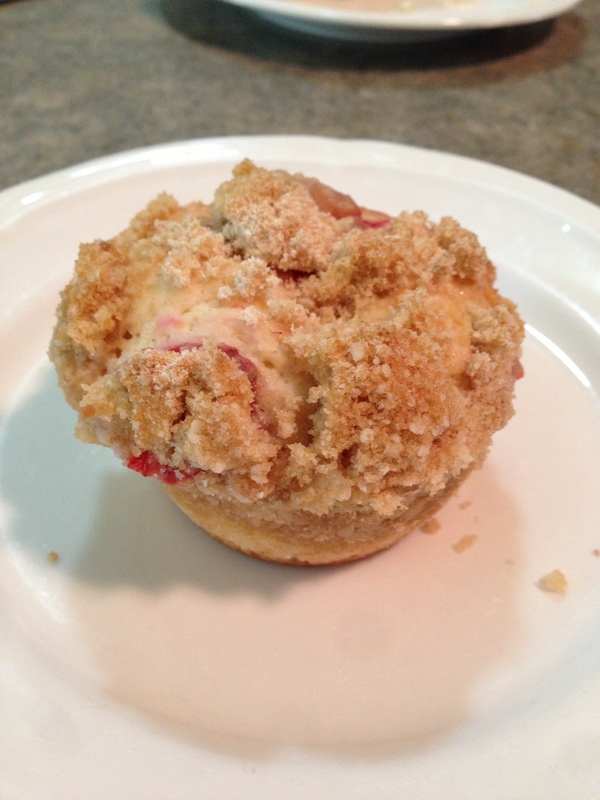 These are a bit dense with strawberries just under the topping and there is a bit of topping through the center of the muffin forced in with the handle end of a wooden spoon to give that extra surprise in taste. 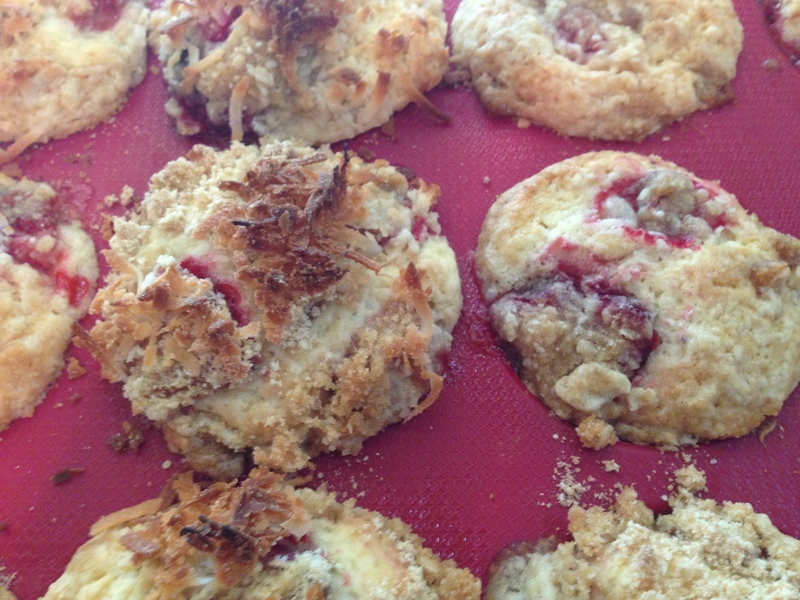 Test taste results was thumbs up around the room and mouths where full enjoying the tasty muffins. Add flour, baking powder, and salt together in a separate bowl and mix. Heated and cooling for a bit. Enough already just eat me! 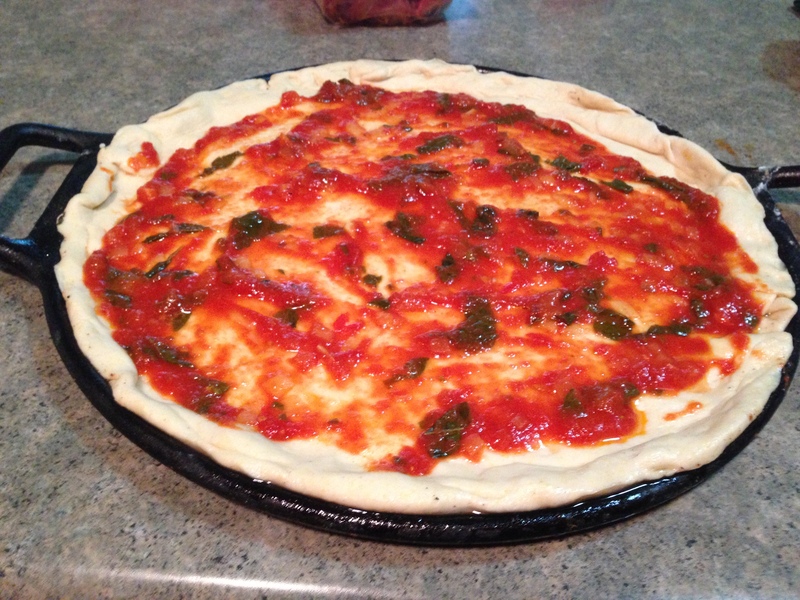 I came up this pizza sauce recipe while at the farmers market looking at all the fresh produce. I just LOVE fresh produce! 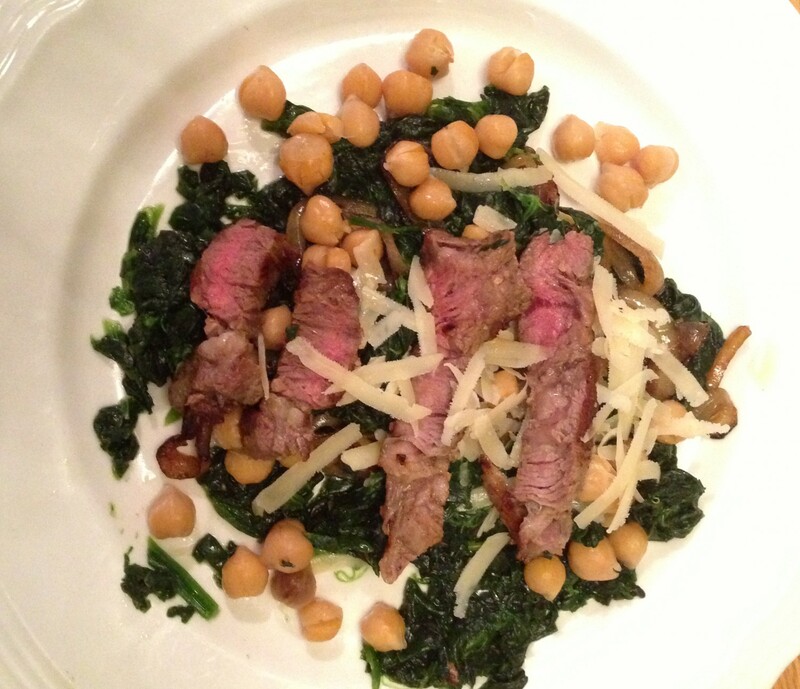 2 table spoons of extra virgin olive oil – I used Oliveto Mediterranean Blend – first cold pressed – Yum! 1 to 1 1/2 cups of fresh Basal, no stems – chopped – THIS IS A MUST! Using the KitchenAid Fruit/Vegetable Strainer strain the tomatoes. I am sure you can strain these by hand but it would take longer. Remove cover reducing heat to low for about 35 minutes. Add basal, garlic, pepper and continue over low heat until sauce has reduced to the thickness you would like. I added about another 30 minutes or so. Add remaining flour, 1/2 cup at a time, and mix about 3 minutes. The dough should clean sides of bowl during this time and then start to ride up the hook. Please note humidity and temperature can have a huge impact on how the dough will perform. Your dough may be too sticky or too dry so add a table spoon of water or flour at a time to get the proper behavior as described. Place dough in greased bowl, turning to grease all sides of dough ball. Cover with plastic wrap and let rise in warm place, free from draft, about 1 to 1 1/2 hour. I put mine in a cold oven. Preheat oven to 450 F – Don’t forget to remove the dough! he he. Punch dough down, yes with your fist! 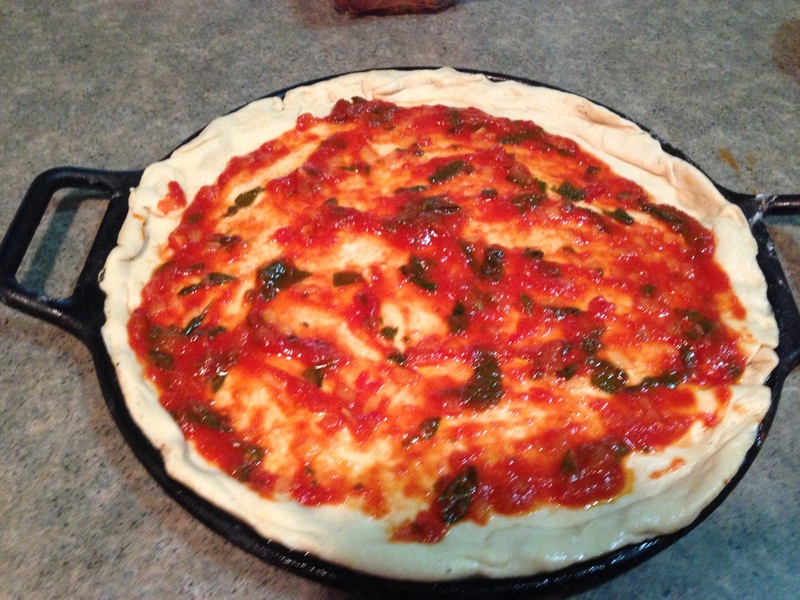 Brush 14″ pizza pan with oil. Sprinkle with cornmeal. I use a cast iron pizza pan and this recipe reflects that. Roll dough out to a disc on a floured surface about and inch or two larger then the size of the pizza pan. I make two pizzas with this recipe. One small personal pizza and the larger one. Just cut of a bit of dough for the smaller pizza. Let rest for one minute then slice and enjoy! The test taste results: Bowing down on the floor, I am not worthy. This is so good! Yum! wait I need to test it again. Yum! Wait one more time just in case. Yum!!! I wanted to make a cake for my son’s birthday using what I had on-hand. The cake had to be chocolate flavor and of course had to be good. I have not made many cakes in the past and wanted something different then I have made before. So off to the internet search I went. What to enter, I did have Hershey’s Cocoa on hand so lets go with that. First thing to popup was “Really Chocolate Chocolate Cake” from the Hershey’s Kitchens. 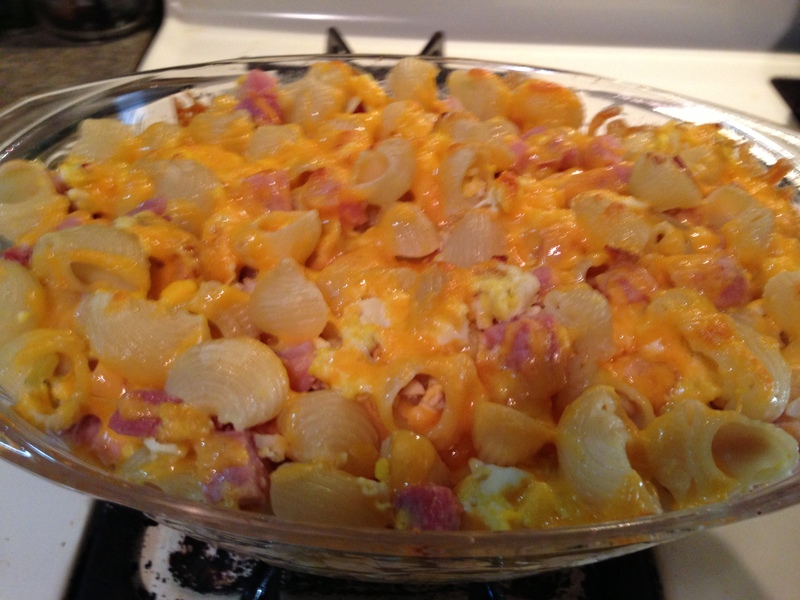 This has to be good, so I called my son in to see the picture and recipe and asked if he would like this. He said “YEEEEEESSSS!!!!!”. That was easy! 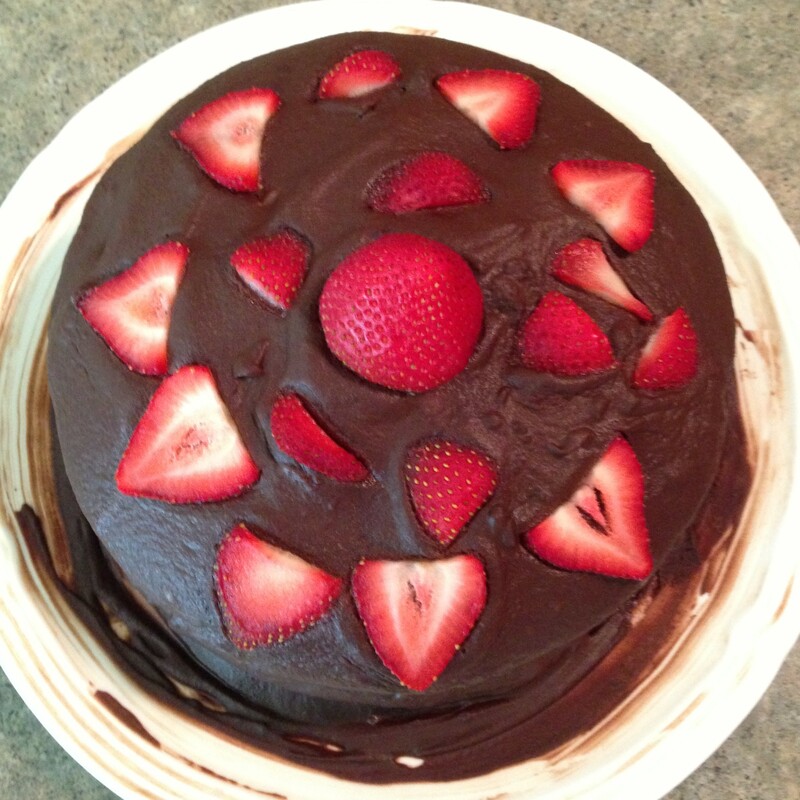 I followed the recipe pretty close only reducing the powdered sugar by a half a cup to 3 1/2 for the frosting, adding the sliced strawberries as a topping and love to the recipe. A handful of sliced or whole strawberries – be creative! 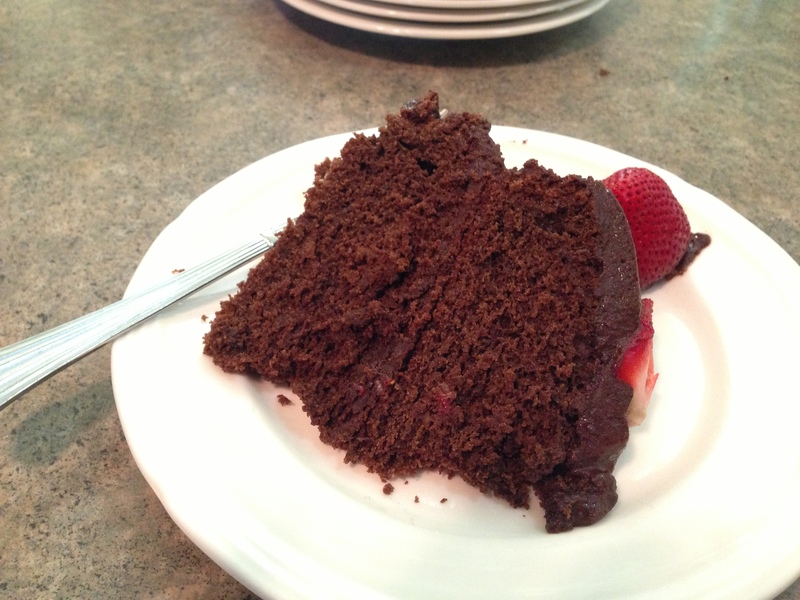 The dark cake and white plate does not work well with a smart phone camera.